After spending more than 17 years as a guerrilla resistance fighter in the jungles of Timor-Leste, Gusmão was arrested on November 20, 1992. He would spend the next seven years serving as a political prisoner, primarily in Cipinang prison in Indonesia. As can be expected, prison was tough for Gusmão. “From morning to night I have to put up with insults and provocation, both personal and political. My every move is monitored and noted.”  Despite the hardships he faced in prison, several positive changes took place due to his imprisonment. First, Gusmão gained more international attention. The world had little access to him during his 17 years fighting in the jungles of East Timor and very little was known about him. Only a few interviews were conducted with him during his guerrilla years. As a political prisoner, he not only gained more and more followers and attention, but also met with many international leaders including Jimmy Carter, Nelson Mandela, Madeline Albright, and UN representatives, among others. Gusmão has done far more than speak of forgiveness. He has also tried to show what forgiveness is through his actions. On a personal level, Gusmão was given many opportunities to forgive. When faced with the man who betrayed him and revealed his location to the Indonesian forces who arrested him, Gusmão embraced the man in a symbol of forgiveness. Gusmão’s actions of forgiveness have been a part of his political leadership as well. One such example happened on his first visit to Indonesia as the newly elected president of Timor-Leste. Here Gusmão showed his dedication to the ideals of forgiveness and reconciliation as he went to an Indonesian cemetery to lay a wreath at the place dedicated to those who died struggling for Indonesia’s independence. He said of the gesture, “We want to pay tribute to the heroes of the Indonesian independence.” Despite decades of struggling against the Indonesian regime, Gusmão had made peace with Indonesia. He was able to acknowledge the good he saw in Indonesia, despite decades of seeing the worst. Timor-Leste is still struggling as a new nation, but it is slowly finding peace. President Gusmão said, “But I must say that without the commitment of East Timorese people, without patience, without their willingness to forget war, to not take revenge, without their commitment to peace [this wouldn’t have happened].” During the Indonesian occupation both Gusmão and Timor-Leste lost greatly. Gusmão lost many loved ones, seven years of freedom and decades of his life in his struggle against the Indonesian occupation. Many would argue that Gusmão has a right to seek justice over forgiveness, but Gusmão has instead sought the path of forgiveness, not only for himself but for his whole nation. Niner, Sara. 2004. “Our Brother, Maun Bo’t: The Biography of Xanana Gusmão, Leader of the East Timorese Struggle.” PhD Thesis, Monash University. Available at: https://monash.academia.edu/SaraNiner/2004-PhD-Thesis:-Xanana. Associated Press. 2000. “Jailed 7 Years, E. Timor’s Gusmao Meets With ‘Inspiration’ Mandela.” Los Angeles Times, March 30. Available at: http://articles.latimes.com/2000/mar/30/news/mn-14328. “Interview with Xanana Gusmao: Don’t call me Asia’s Nelson Mandela.” 2003. Available at: http://www.etan.org/et2003/september/21-30/21intrvw.htm. “A Hero’s Journey: a documentary film.” 2006. Available at: http://www.luxlucis.sg/A%20HERO%27S%20JOURNEY%20full%20synopsis+director%27s%20bio.pdf. “Journey of forgiveness in Xanana doc.” 2006. Jakarta Post, December 16. 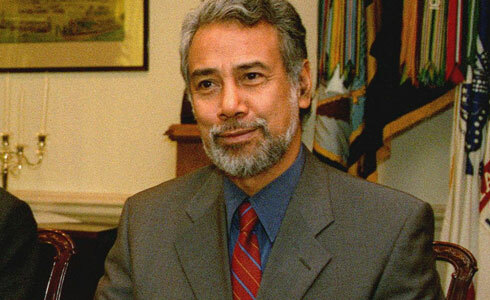 Available at: http://m.thejakartapost.com/news/2006/12/16/journey-forgiveness-xanana-doc.html. “Gusmao commemorates Indonesian dead.” 2002. BBC News, July 3. Available at: http://news.bbc.co.uk/2/hi/asia-pacific/2087721.stm. “East Timor News Digest 11 – November 1-30, 2006.” 2006. Available at: http://www.asia-pacific-solidarity.net/southeastasia/easttimor/netnews/2006/end_11v5.htm. McBeth, John. 2005. “Timor Leste’s past: Let it be or bare it all?” Straits Times, December 22. Available at: http://www.asiamedia.ucla.edu/article.asp?parentid=36107. 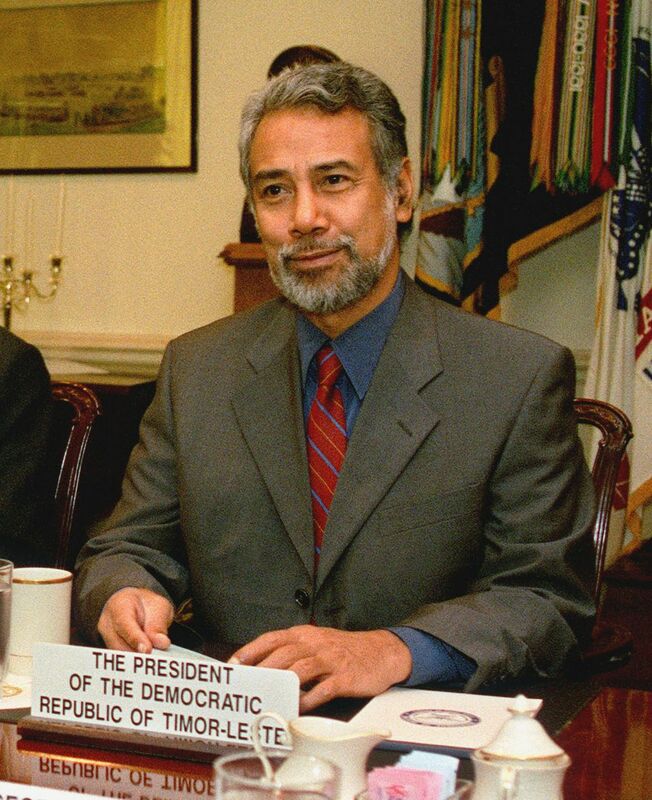 Gusmão, Kay Rala Xanana. 2011. “Goodbye Conflict, Welcome Development – The Timor-Leste Experience.” Address given at Johns Hopkins University, Washington DC, 24 February 2011: 14. Available at: http://asiasociety.org/files/pdf/110225_gusmao_asdc.pdf. Taylor, Rachel S. 2002. “Interview: East Timorese President Xanana Gusmao.” World Press Review, October 1. Available at: http://www.worldpress.org/Asia/743.cfm. President Gusmão’s life story is a remarkable inspiration. Because he is a man that lived on both sides of an armed conflict, and came to realize that the side of love, forgiveness and tolerance is more fruitful and effective makes his story all the more touching and believable. His campaign to instill forgiveness within the people of his nation is no simple task. It requires patience, courage and dedication. His perseverance therefore is a reflection of his strong value system.